Dhoot’s of the Videocon group have bought the entire stake held by Singhania’s and others in NEXT consumer durable retail chain. NEXT consumer durables retail chain kicked off its operation under the brand name Plugin founded by two ex-Videocon executives. However, the venture didn’t do well and later Singhania’s of Raymonds bailed out and subsequently changed the brand name as well. Videocon is ofcourse keeping this acquisition a low profile as it doesn’t want to mess its relationship with other consumer retailers such as Sony Mony, Viveks, Vijay Sales, E-Zone etc who stock Videocon products. 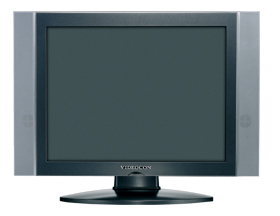 Videocon claims itself to be a strategic investor in this company and is totally run by professionals. NEXT is all stocking products of LG, Samsung, Kenstar, Kelvinator etc. Videocon is interested in setting up commercial real estate space for the company, mostly from their private funds.